I recently had my 2015 Subaru WRX 6 speed manual tuned by AMR Performance, and I am amazed by the result. There's a ton more power everywhere compared to stock, tuning really wakens the beast! Choosing someone to trust with tuning your pride and joy can be a daunting experience at the best of times, let alone living in another country with limited options. No need to worry at all with AMR Performance, these guys are the real deal! All emails and questions are answered straight away, even at times you know they should be away from work or even asleep! Talk about confidence inspiring! I am extremely happy with how I have been treated with the whole process, and I couldn't possibly ask for any better. The tuning results speak for themselves too, a very nice improvement while being totally safe. These guys really do take the care and responsibility to get it right. The difference compared to stock is nothing short of amazing! 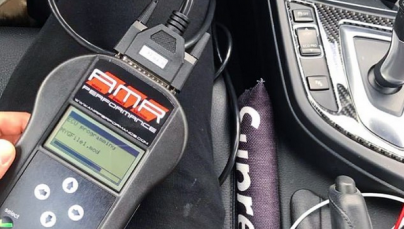 I highly recommend AMR Performance for your tuning needs, especially if you live in another country! I am now tuning a second 2015 Subaru WRX 6 speed manual through these guys, they truly are second to none! I recently had my 2015 Subaru WRX 6 speed manual tuned by AMR Performance, and I am amazed by the result. There’s a ton more power everywhere compared to stock, tuning really wakens the beast! Choosing someone to trust with tuning your pride and joy can be a daunting experience at the best of times, let alone living in another country with limited options. No need to worry at all with AMR Performance, these guys are the real deal! All emails and questions are answered straight away, even at times you know they should be away from work or even asleep! Talk about confidence inspiring! I am extremely happy with how I have been treated with the whole process, and I couldn’t possibly ask for any better. The tuning results speak for themselves too, a very nice improvement while being totally safe. These guys really do take the care and responsibility to get it right. The difference compared to stock is nothing short of amazing! I highly recommend AMR Performance for your tuning needs, especially if you live in another country! I am now tuning a second 2015 Subaru WRX 6 speed manual through these guys, they truly are second to none!